Good Health Starts With Great Digestion! Do you suffer from candida or digestive problems such as heartburn, gas, bloating, constipation or loose stools? Not only can these issues cause embarrassment and discomfort, but the more serious issue is that poor digestive health can affect every single system and function in the human body. In my nutrition practice, clients have often dismissed and ignored digestive complaints for so long, they eventually led to more serious health conditions. Digestive problems are not something to be taken lightly. While it’s normal to experience these kind of symptoms from time to time, when digestive disturbances are chronic and excessive, it’s best to address the underlying cause in order to prevent more serious health complications down the road. When digestion is compromised in any way (due to food intolerances, poor eating habits, stress, low or high stomach acid, candida overgrowth etc. ), irritation in the digestive tract occurs. 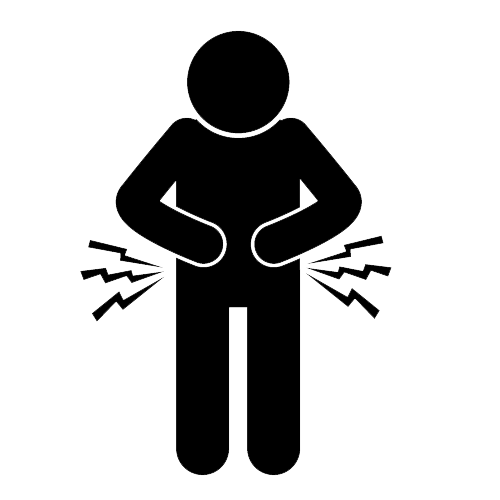 Anything that irritates the digestive tract can lead to inflammation. Inflammation in the digestive tract not only increases the risk of inflammatory bowel conditions like colitis and diverticulitis, but can also lead to wide-spread systemic inflammation. Chronic, low-grade inflammation has been linked to diabetes, depression, heart disease, and even cancer! Without proper digestion, we can also have a difficult time absorbing the nutrients from the food we eat and our overall well-being can suffer. If you are not able to efficiently absorb the vitamins and minerals from your food, you can face serious nutritional deficiencies despite eating a very healthy diet. Deficiencies due to lack of absorption can lead to chronic fatigue, hormonal imbalances, poor intestinal health and a weakened immune system. There are many factors that contribute to a poorly functioning digestive system, which is what we will be discussing throughout this practical and easy-to-follow course. If you experience any of the following symptoms and want to learn how to treat the underlying cause of your discomfort and pain, this course is for you! The best way to achieve and maintain vibrant health is if we can each learn to be our own holistic health expert. Nobody knows your body as well as you do. You just need the tools to help you understand what is going on inside your body and the knowledge of how to correct it! Learn to be Your Own Digestive Health Expert! As a Registered Holistic Nutritionist, my mission is to help you achieve optimal health and vitality. I do this by encouraging you to pursue the best health possible regardless of your age or current state of health, and by advocating the importance of following a natural, whole foods diet. Over the years I have come to appreciate the complex link between body, mind and spirit and the profound connection these influences have on our health. Mainstream medicine does not emphasize the connection between poor digestive health, lack of nutrition and many of the common health problems people face. My goal is to help educate, motivate and give guidance to those who are dedicated to discovering their own personal path to vibrant health. If you have any questions or would like to leave a comment or share your thoughts, please don’t hesitate to contact me. I would love to hear from you! I’m so proud of you for starting this journey today! In health, joy & gratitude! Thank you so much for providing such helpful information in a clear and concise manner! This course was very easy to understand without getting too scientific and wordy. I would recommend it to anyone who is having digestive issues and doesn't want to use drugs to solve the problem. I always tell my clients that the best doctor in the world is them.